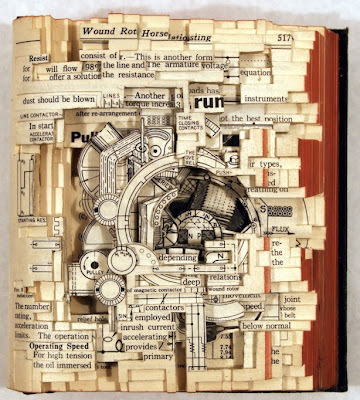 Source: The Book Surgeon. 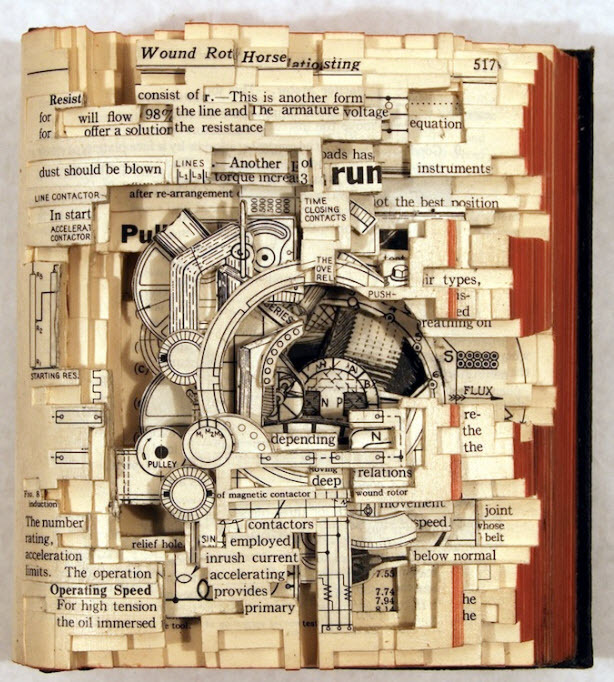 "Using knives, tweezers and surgical tools, Brian Dettmer carves one page at a time. Nothing inside the out-of-date encyclopedias, medical journals, illustration books, or dictionaries is relocated or implanted, only removed. 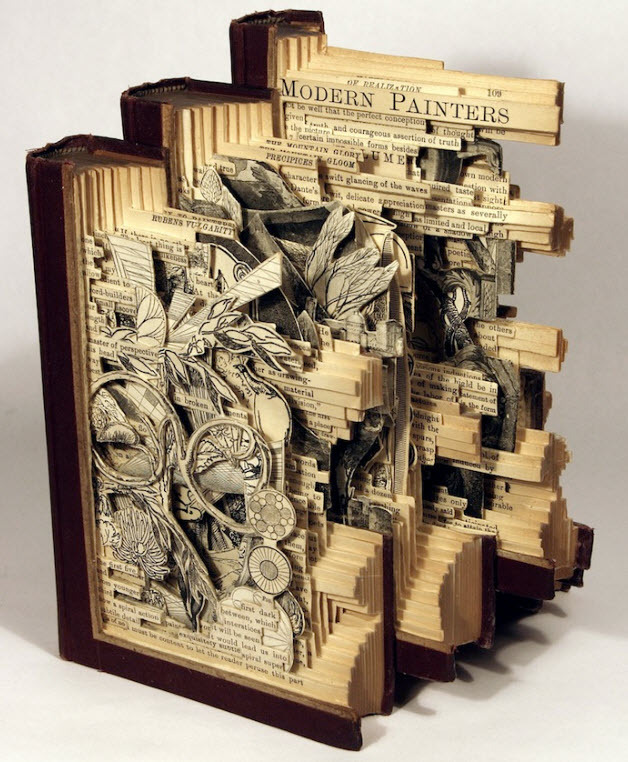 Dettmer manipulates the pages and spines to form the shape of his sculptures. He also folds, bends, rolls, and stacks multiple books to create completely original sculptural forms."